Did NoseGa won any Oscar for her lame acting? Her "lame acting" got her Best Actress nominations in all prestigious awards including the Oscara. Let's see if your fave even gets Oscar buzz. Thank god we got Gaga and not that unholy b*tch Beyst for ASIB. Godley Cooper and Gaga -his FIRST choice -won. PIG is below that level. Nobody cares enough to even drag. She's just a makeup girl with some Nesquik little singles people forgot about. But 100 on RT!!!!! 11!!!!! 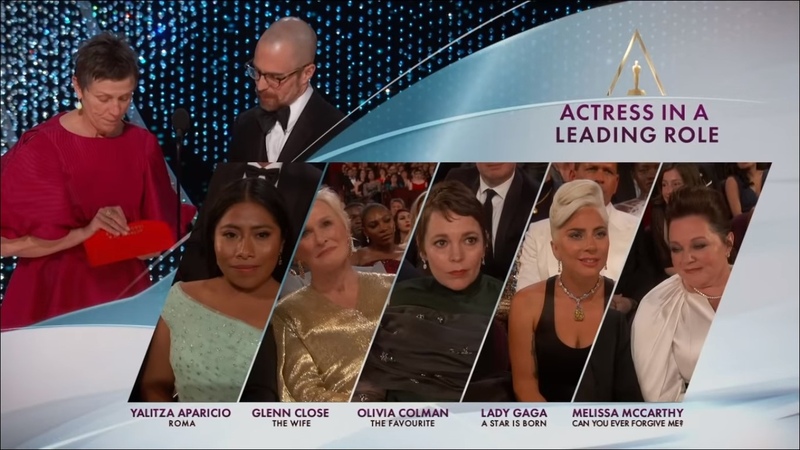 Thank God Gag didnt win best actress. The acadamy said "we'll give you the constellation prize instead" and the monsters are jerking off over a participation trophy one hit nobody Sam Smith won. The way y'all idiots talk about an Oscar like it's nothing. Focus on Putridney, stop smoking so much crack and leave these legends alone. Sean: Maybe if you had the good sense to give me a call, I could've helped you with this little plot of yours. Emily: Oh, please, you haven't come up with a decent plot in 10 years. Stephanie: Can I say something, as the lady with the gun? Finally some truth. We love a revolutionary feminist classic. Wait Guayaba Island is a whole movie?